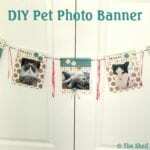 One of my favorite Pinterest boards is my DIY Candles and Candle Holders board. I love to save all of the creative candle tutorials that I come across on my favorite blogs as well as Pinterest too, of course! And there’s just about a million ways (it seems!) 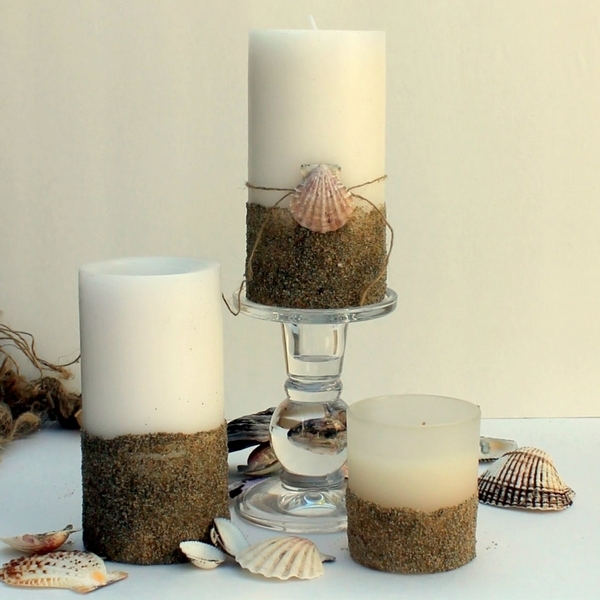 to decorate and embellish candle holders, let alone create your own using all sorts of materials. 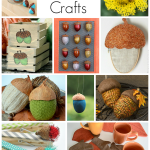 Here’s some of my favorites from what I’ve collected on Pinterest so far . 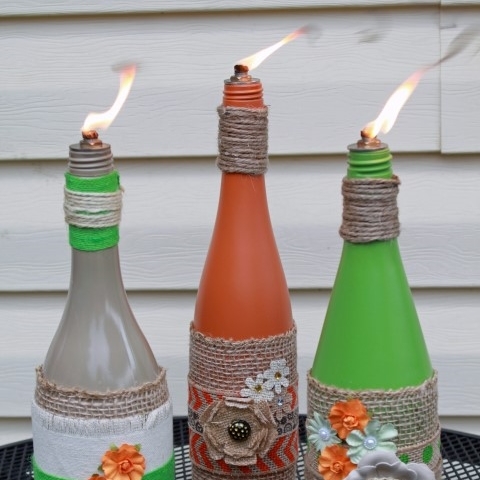 . .
DIY Candles and Candle Holders! 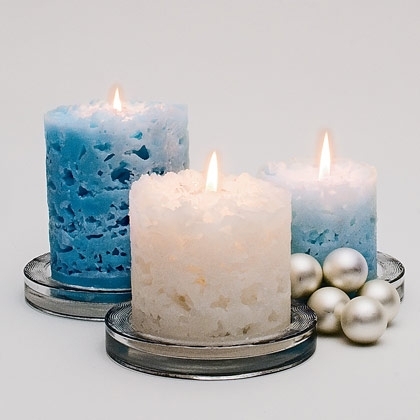 These pretty candles started out as just plain jane pillars. 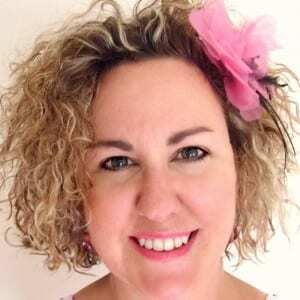 Vivienne from The V Spot shows you how to turn them into trendy coastal decor! 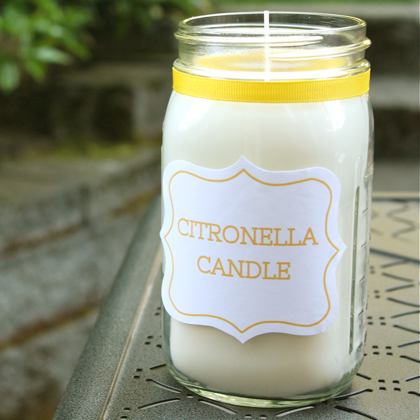 Malia from Yesterday on Tuesday shares her recipe for making citronella candles to keep those pesky bugs away. 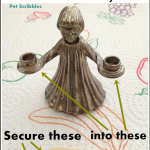 And she has cute printables that you can download for your candle jars too! 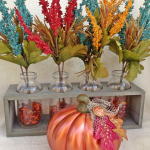 Glitter, Glue and Paint has a great tutorial to make your own wicks for wine bottles! Jenn from Rook No. 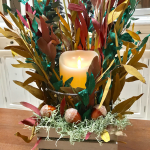 17 shows you how to personalize candlesticks – a great idea for special occasions and hostess gifts! 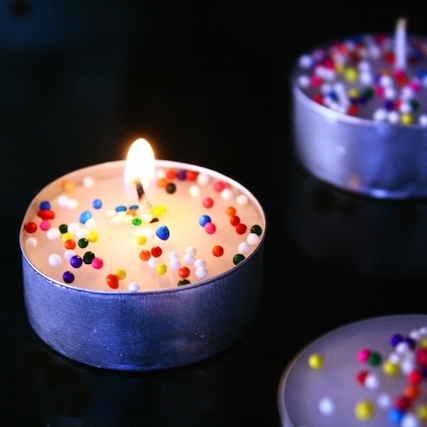 Create birthday cake tea lights with this easy DIY from Food and Femininity! 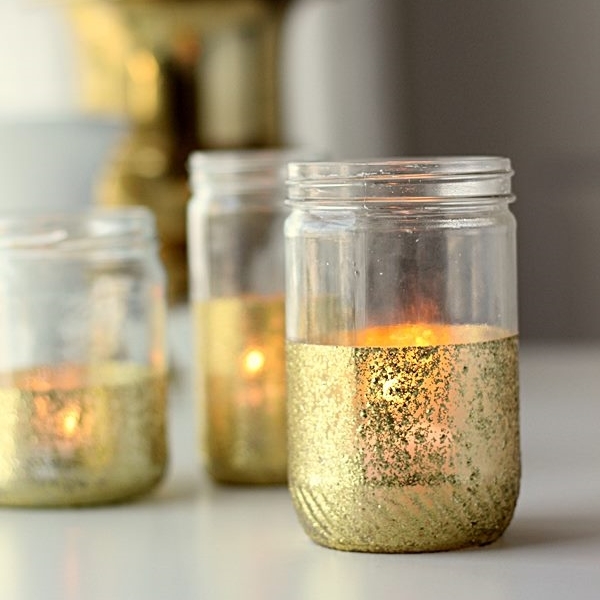 Repurpose empty jars into glittering candle holders like Shannon from Madigan Made did! 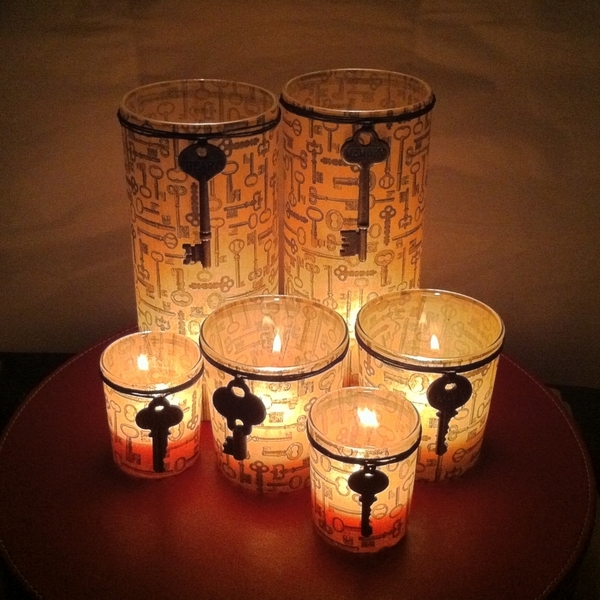 These paper maché tea lights can match any color scheme, depending on what decorative paper you use! 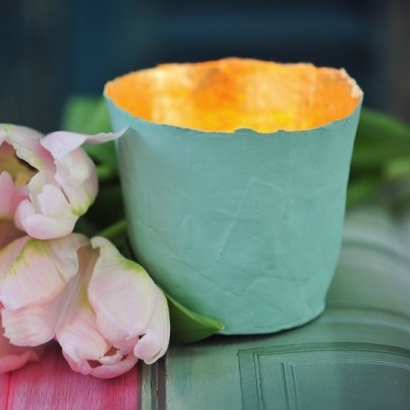 Transform glass candle holders using Mod Podge and tissue paper with this DIY from Created by Jess! 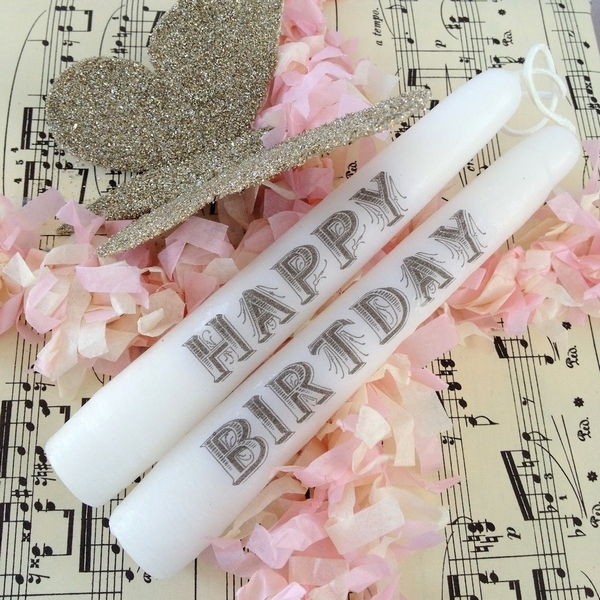 You can make these pretty “ice candles” with hot wax, ice and crayon pieces! 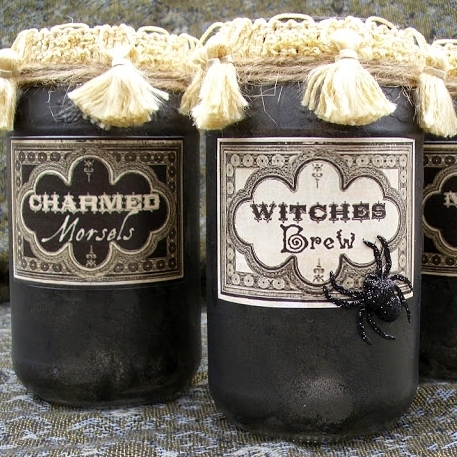 For Halloween, I made these vintage apothocary candle jars! 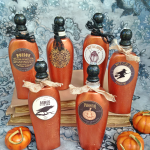 They’re a little bit gothic, a little bit Victorian, and a little bit spooky! 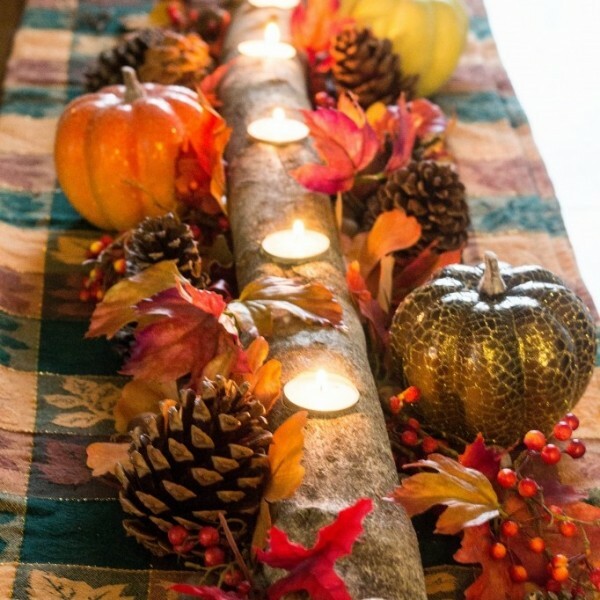 Bring some rustic elegance to your tablescape this Fall with a candle centerpiece you can make from a tree branch! 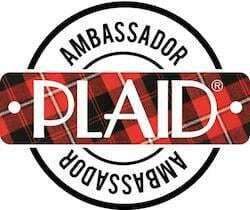 Marty’s Musings shows you how! 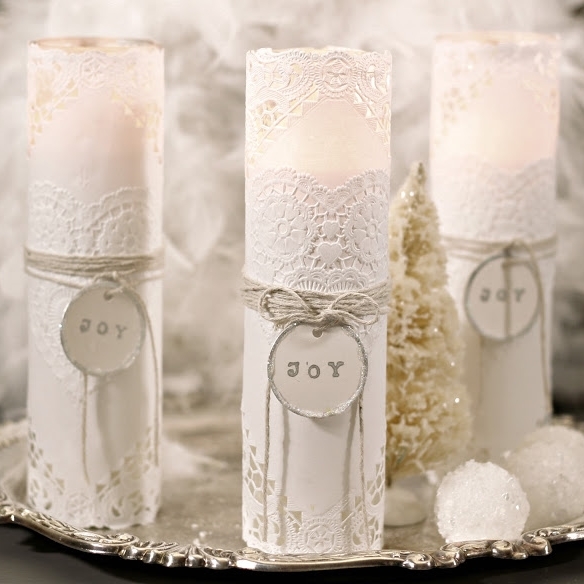 Shabby Sweet Cottage turned plain candles into a stunning display sure to add joy to your Winter holidays! 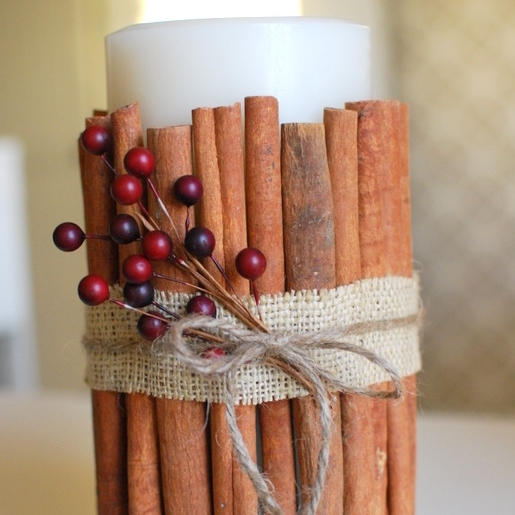 Wrapping a candle in cinnamon sticks not only makes a festive holiday decoration, but also adds a cozy scent to your surroundings! 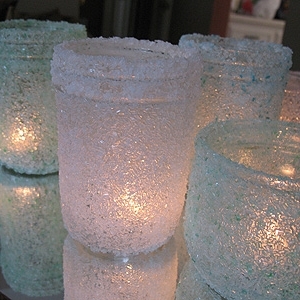 These gorgeous epsom salt-covered glass jars from Crafts by Amanda are one of the most popular candle holder projects on Pinterest, and make a serene display for your Winter holidays and beyond! 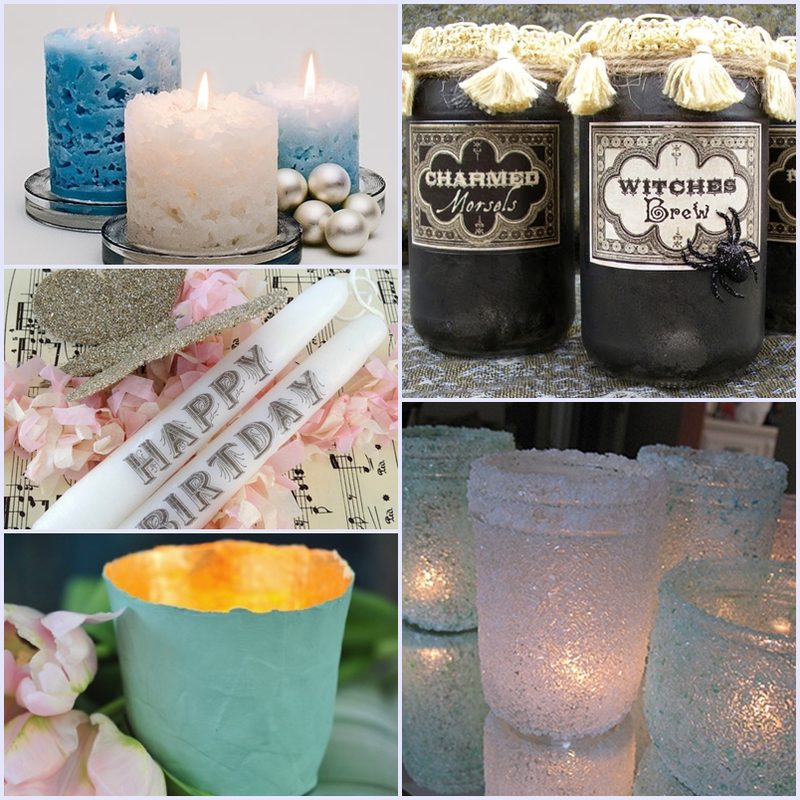 These are just some of my favorites included in my collection, so I hope you’ll stop my Pinterest board filled with tutorials and DIYs for candles and candle holders!